Jim Douglas stood down as President at the 2018 AGM. He was granted an inaugural life membership of WACRA for his services. 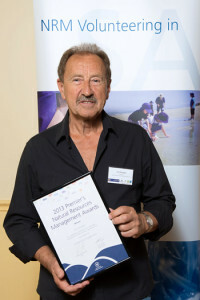 In 2013, the Tennyson Dunes Group won the Premier’s Natural Resources Management (NRM) Community Engagement Award, received for outstanding contribution to the sustainable management of South Australia’s natural resources in the category of Community Engagement. Thanks to WACRA President Jim Douglas for the nomination and fellow community groups in the area for their recognition.